Thor Erdahl was only 8 or 9 years old when he found the first traces of what was to be the rediscovery of the medieval city of Vågar, the first urban settlement north of Trondheim. This event almost made him a captive of archaeology. But he dug a little further, and he discovered art. This led him to Olso, where he spent a decade studying at the Norwegian National Academy of Fine Arts and the State Academy of Fine Art. When his training was completed, he returned to Kabelvåg to his home town near Vågar, the first urban settlement in Northern Norway. 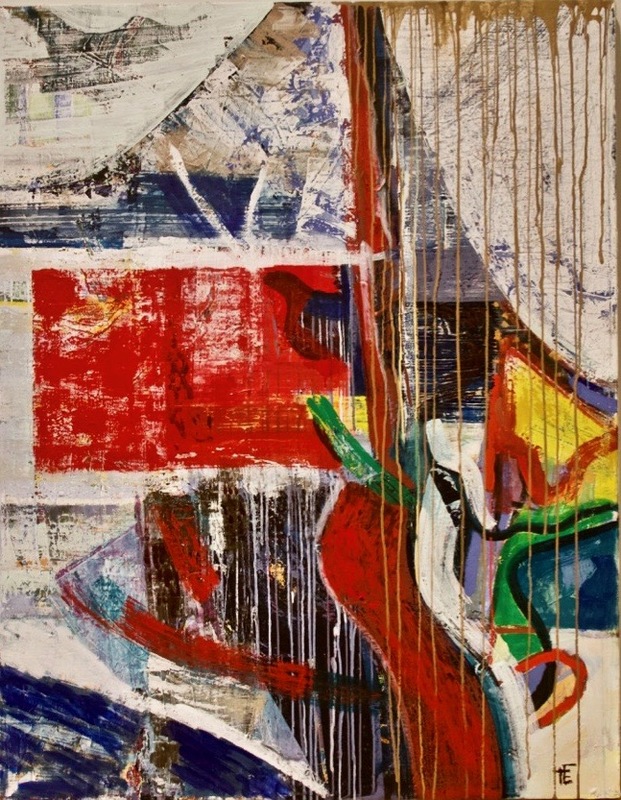 He returned home equipped with a modern expression of visual art and undaunted enthusiasm. He has been a salient figure in the region’s community of artists since the beginning of the 1970s. In Kabelvåg, together with Inger Anne Nyaas, he operates his relatively large Galleri Lille Kabelvåg. This is visual art’s answer to Indiana Jones. Ample space inside. Ample space outside. Thor Erdahl can study his art in “live” Lofoten light outside in his own garden. 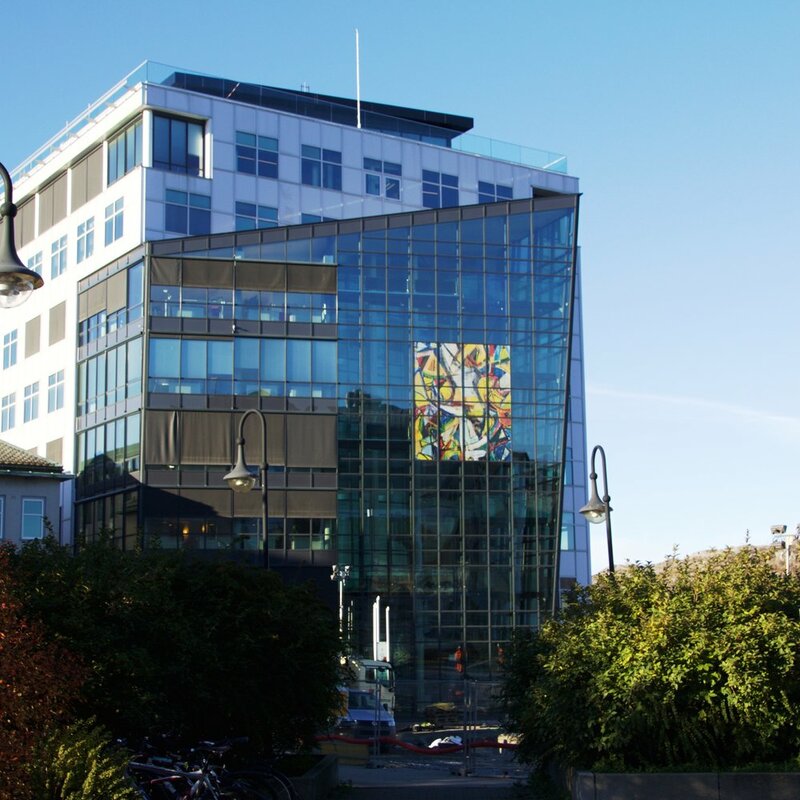 The Jewel on the façade of Jakhelln Wharf in Sjøgata, is Thor Erdahl’s contribution to the NorlandiART city gallery in Bodø.